Reuniting with an old friend! Recently, Jim and I went to an estate sale and I heard a familiar voice...Bonnie! She was one of my card and gift reps from my years in retail. I haven't seen her for years and had lost track of her. She was helping the gal who was running the sale. Bonnie went through some hard times about a year ago with cancer, but she's doing well and looked good. I was so thrilled to see her. The last time I talked to her, she was really interested in learning how to quilt. She told me she was quilting and was working on a quilt called Cinco de Mayo. She ran out to the car to get her blocks to show me. Now remember, she has only been quilting about a year! I was so impressed! These are paper pieces and just so bright and fun! She was so excited to share her quilting with me. This is way out of my comfort zone, but it was just so interesting, I decided to track down the book. I checked on Amazon and found it.....and ordered it. I want to try something really different. I'm going to try to make mine in the pink and purple shades...we'll see. I may have to call Bonnie for help! She has a very good sense of color and is very artistic. I'm excited to try something new. Thanks Bonnie for sharing your great quilt blocks. Friendship....helps us celebrate the good times and endure bad ones. One of the quotes I read today in a sweet little book. I went to my mailbox today and look what came my way via snail mail! A surprise package from my friend LaVonne in Montana! It's so exciting to find something in your mailbox! 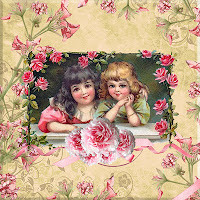 A darling friendship card with a wonderful personal note inside. So this is what she sent to me...a lovely book on friendship...a book for women. My friend LaVonne...she knows me well and I just love her. She is always there to lift me up and be a part of my life.I can't imagine my life without her. Thanks so much LaVonne for being such a great friend! Thanks for the great book. ways we are drawn closer to God even when we can't understand the reason behind what has happened. I also know that my problems are pretty small compared to what some people are dealing with on a daily basis, things that aren't going to get better. 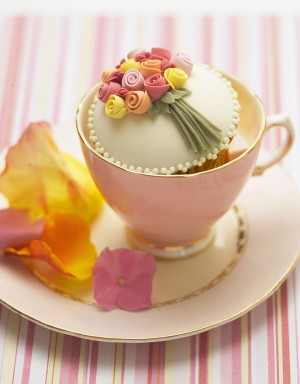 I'm featuring this beautiful teacup today for Miss Spenser's Teacup Thursday. I just got it last week at a big garage sale event for $1.00! I adore the pattern and this is one I will keep. I'm also showing it as I share my story about another friend who just turned the big 50. She loves cottages...can you see the cottage tucked into the roses? That's what I love about this cup and saucer. The set is a Queens by Rosina China Co Ltd. I have several made by them and I just always like the patterns. I think the roses are so pretty and love the colors....perfect to live in my tearoom. Even the handle is pretty! The cup has a rose inside, which always draws me to a pattern, and even the back has another lovely rose. You can tell I REALLY like this teacup. So, on with my story. My friend Clarice who lives near Poulsbo WA turned 50 last Friday. She has been fussing about it all year! I have been telling her I loved my 50's and I think it's a great time for a woman. Well, she didn't buy it. So, I plotted with my other friend Angie, who is Clarice's dear friend. to see if I could come up to surprise her. Angie and Clarice are some of my Tasha Tudor friends who have become very special to me. As Jim was going to be out of town, I drove up by myself on Monday. Angie had me over for dinner and we plotted away! Angie is a fabulous cook and so giving. She made lamb chops (I've only had them a few times and these were the best I've ever tasted), beets from her garden cooked in coconut oil, rice and a great bean salad. Delicious. I love her family and they are so kind to welcome me. We picked raspberries, looked over her garden, saw the sheep, and gathered a few eggs from the chickens. I just love being at their home...there's a peace that hugs you when you're there. So the plan was to show up at a deli in Bainbridge Island around noon on Tuesday. She was going to take Clarice there to pick out yummy things for a lunch...a birthday lunch. I got there early, parked far away and found a fabric store! Charming! Good thing I didn't stay there much longer. I went into the deli and had the gal make me an iced coffee and was just telling her that I was the surprise for my friend's birthday and if she heard a scream, not to be alarmed. I felt someone's hand on my shoulder, looked around and it was Angie. I was trying to register it all in my head when I turned and saw the surprised look on Clarice's face. Of course we hugged and hugged and then she cried! I didn't expect that! Mission accomplished! So we went back to Angie's and called her mom Linda to bring her other daughter Auberne over as I wanted to see them all! Here's Angie slaving away in her kitchen again. This is Clarice and her mom Linda looking over the goodies! What a feast we had! This is Angie's cheese she made. It was wonderful. She is always experimenting with food. She introduced me to several new things and coconut oil and products. Clarice and Angie are foodies and I bet the benefit of it! YUMMY! to spend the afternoon in the fresh summer air. Linda and Angie discussing some serious food issues. I got lost somewhere along the way! And a happy mom with her daughter Auberne. I'm sorry I didn't get all the other kids in the photos. They were just having so much fun running around playing on such a nice summer day. Time for the birthday girl to have her cake! She had store bought and a homemade raspberry delight. Angie the good hostess...always busy making things nice for others! She really outdid herself for her dear friend Clarice. Thank you Angie for making this a very special day for us all! I don't know if you saw the teacup on the table with the cake. Angie has a few that her grandmother gave her. She would love to have some more, so we are on the hunt! I think someone featured one recently on Teacup Thursday. As you can see, the day was just lovely and good medicine for the soul. The only thing really missing was our friend LaVonne. We did give her a call, but we wish she could have been with us! Come out west LaVonne~soon. I am so humbled by all the prayers and encouragement from so many of my blogger friends and my friends. Thank you to those of you who left me a message...I have never corresponded with many of you. I am touched. I am still dealing with the sadness but I know there is a purpose for this and that God is in control. My dear friend LaVonne sent me some things to read this morning and I so appreciate her taking the time to find just the most perfect readings. Thank you my friend. I went to visit my friends in Poulsbo and Bainbridge Island WA for a few days to surprise another friend for her 50th birthday! I drove back home today, so may be late tomorrow with my Teacup Thursday post. It was good therapy to be in such a beautiful part of the Northwest and to be with friends who made me laugh and forget the sadness for awhile. 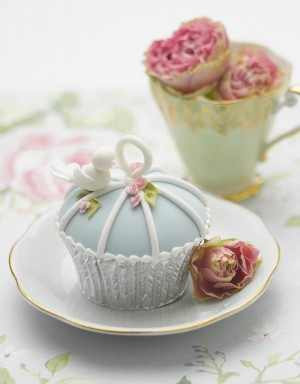 Happy Teacup Thursday~hosted by Miss Spenser of Miss Spenser's Teacup Thursday. This is my 65th week to share a cup and saucer. People ask me how many teacups I have and actually, I don't know! I sell some and give others away. Don't you just love carnations? This is such a pretty teacup by Taylor Kent of England. It brings back memories of my childhood. When we lived in Long Beach CA, my mom grew lots of carnations. I've never been able to grow them as well. I don't think we get as much sun here in Oregon. Ahhhh....I can smell that sweet scent now. I love children's china and have found a few pieces this spring and summer at some of the shows and estate sales. I thought I'd share a few of the older pieces this week. I love ABC plates and I have been hoping to find one for awhile. This sweet little linen ABC book is the perfect addition to the children's china. It's from 1899. This little plate has had a hard life, but I still love it, especially the center picture. Charming. I hope you are having a lovely week. It's been another busy one for me. Etsy is doing well! My daughter Gina's wedding is getting closer. Lots to do and lots of fun things to plan and enjoy. My oldest daughter is working on Gina's special "pink" shower. It's going to be so pretty and beautiful. It's that time again! I helped Jim set up for his antique show at the Expo in Portland OR yesterday. He has a double booth this time, more room and more stuff! The set up went smoothly and we had a lot of really great customers! Good show for him. 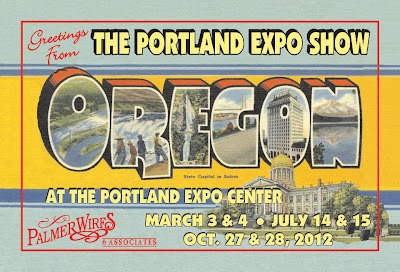 If you're in the area or are planning to attend the show, stop by and see him. He's in building E G-30 and 31 inside with air conditioning. Saturday hours are 9-6 and Sunday hours are 10-5. He'd love to see you. Gina's coming down from Seattle to help him on Saturday, so you might be able to see here too when you're there. Here's a look at his booth. Lots and lots and lots of stuff....good stuff! The show is always fun. So blogger friends, you can see I've been busy. Hope to catch up with Teacup Thursday this weekend. It seems that I have been on the receiving end of many sweet and kind gifts this year! After Christine Crocker made my wonderful doll, she sent me this thank you! It's a very beautiful-and pink-teacup that has been in their family. She knows I love teacups and she wanted me to have it and enjoy it with my teatime friends. 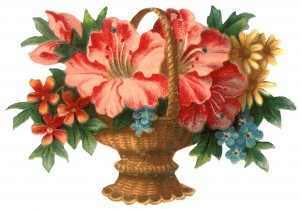 I just love the gold trim and the lovely flowers in the center. It is my wish that Christine will be able to come to tea in my tearoom someday. The cup is marked Stanley Bone China Made in England. I will cherish it always and I will think of Christine every time I have a cuppa. A bakery called the Bakery Parlour in England. 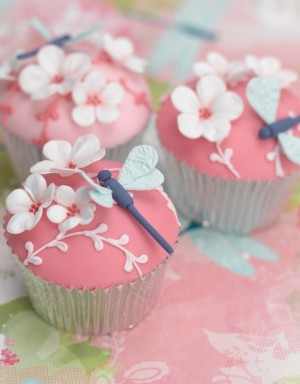 Wouldn't these be stunning at your next tea? This is my very favorite one...love it, love it, love it!! 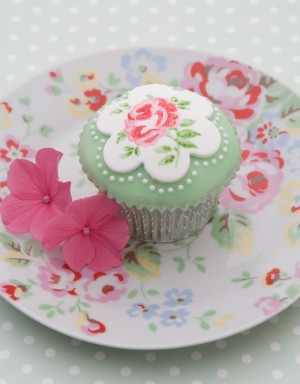 You can match your cupcake to your dishes. The bakery is owned by Zoe Clark. I looked on Amazon and she has several books out. 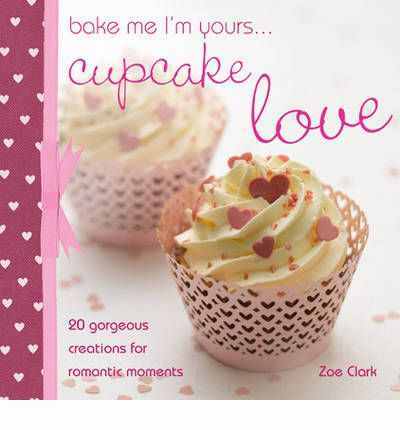 I'm thinking fo purchasing the cup cake one! Thanks to Miss Spenser for hosting our Teacup Thursday. Can't wait to see what others are sharing today! Hope you are enjoying summer. I know we have some new members that I haven't met yet.